MSC Cruises guests can now receive discounts on select sailings of Caribbean 2014 and 2015 ships, Europe 2014 voyages and Brazil cruises in 2014, courtesy of MSC's top-of-the-line Wave Season offers. With the "2-For-1 Plus" offer, guests can sail the world's most exciting destinations at 50 percent off with the additional option of choosing from one of three bonus incentives: a complimentary beverage package, pre-paid service charges, or up to $400 worth of shipboard credit per stateroom. The offer is available on MSC's newest ship to sail the Caribbean year-round, the MSC Divina, as well as other ships in its fleet. Eastern Caribbean: 7 night itineraries starting at $600 per person on MSC Divina, departing Miami on April 19, May 3, May 17, Aug. 9, Aug. 23, Sept. 6, Sept. 20, Oct. 4, Oct. 18, Nov. 1, Nov. 29, Dec. 13, Dec. 27, 2014, Jan. 10, Jan. 24, Feb. 7, Feb. 21, March 7 and March 21, 2015. Ports of call include Phillipsburg (St. Maarten), San Juan (Puerto Rico) and the private island of Great Stirrup Cay (Bahamas). 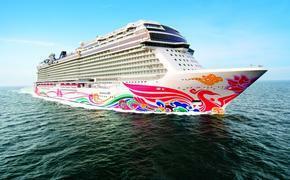 Western Caribbean: 7 night itineraries starting at $600 per person on MSC Divina from Miami on Apr. 12, Apr. 26, May 10, Aug. 2, Aug. 16, Aug. 30, Sept. 13, Sept. 27, Oct. 11, Oct. 25, Nov. 22, Dec. 6, Dec. 20, 2014 and Jan. 3, Jan. 17, Jan. 31, Feb. 14, Feb. 28, March 14 and March 28, 2015. Ports of call include Falmouth (Jamaica), Georgetown (Grand Cayman), Cozumel (Mexico) and the private island of Great Stirrup Cay (Bahamas). Western Mediterranean: 7 night sailings starting at $550 per person on MSC Musica, departing Genoa on April 5, April 12, April 19, April 26, May 3, May 10, May 17, May 24, May 31, June 7, June 14, June 21, June 28, July 5, July 12, July 19, July 26, Aug. 2, Aug. 9, Aug. 16, Aug. 23, Aug. 30, Sept. 6, Sept. 13, Sept. 20, Sept. 27, Oct. 4, Oct. 11, Oct. 18, Oct. 25, Nov. 1, Nov. 8 and Nov. 15, 2014. Stops are made in Civitavecchia (Italy), Palermo (Italy), La Goulette (Tunisia), Palma de Mallorca (Ibiza), Valencia (Spain), Marseille (France) and Genoa (Italy). Eastern Mediterranean: 7 night sailings on MSC Preziosa start at $650 per person, departing Venice on May 3, May 10, May 17, May 24, May 31, June 7, Sept. 20, Sept. 27, Oct. 4, Oct. 11, Oct. 18, Oct. 25 and Nov. 1, 2014, calling on Venice (Italy), Bari (Italy), Katakolon (Greece), Izmir (Turkey), Istanbul (Turkey) and Dubrovnik (Croatia). Brazil Positioning: Explore the beauty of South America, during two Brazil repositioning cruises, starting at $1,020 per person aboard the MSC Divina. The ship departs Miami on May 24 and returns on July 14, with stops in Charlotte Amalie (St. Thomas), Bridgetown (Barbados), Port of Spain (Trinidad and Tobago), St. George (Grenada) and Fortaleza, Salvador, Ilheus and Rio de Janeiro in Brazil. Bookings must be made by March 31, 2014 in order to qualify for this promotion. 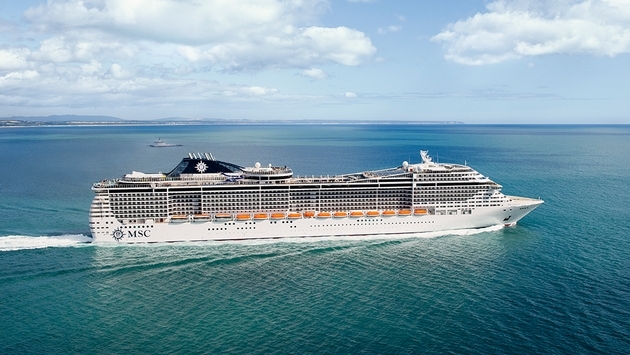 The "2-For-1 Plus" sailings are also available on several vessels of the MSC fleet, including MSC Armonia, MSC Fantasia, MSC Divina, MSC Lirica, MSC Musica, MSC Poesia, MSC Preziosa, MSC Sinfonia and MSC Splendida.